Deana M Mattice | Albany Estate Planning Lawyers Burke & Casserly, P.C. 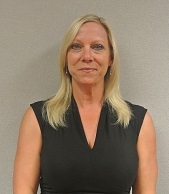 Deana Mattice joined the B&C team on May 8, 2017. Her vast experience in our areas of practice have made her a valuable member of the team. Deana and her husband, Junior are avid boaters. During the summer weekends, they can be found on a body of water! They have three kids between them that their world revolves around, and they live in Selkirk.